Celebrate your adventurous spirit with the Endeavor PFD by Extrasport that combines essential safety, easy to access storage, and the freedom to enjoy the water. CLOSEOUTS. 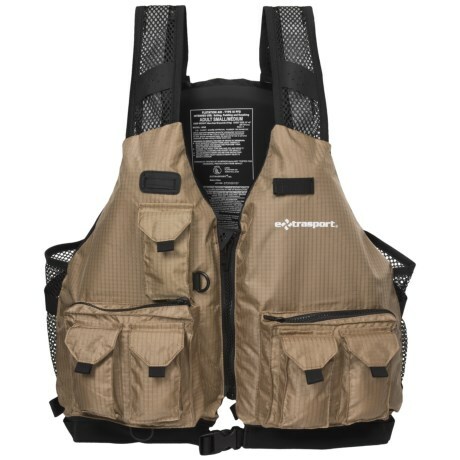 A fisherman's best friend, Extrasport's Striper PFD life jacket has multiple touch fasten pouches and two zip pockets that keep tackle easily accessible. Available Colors: ORANGEBLACK, SANDBLACK. Sizes: XS, SM. Thanks to its narrow chest, deep V cut neck line, and wide arm holes, the Extrasport Youth Volks Jr. 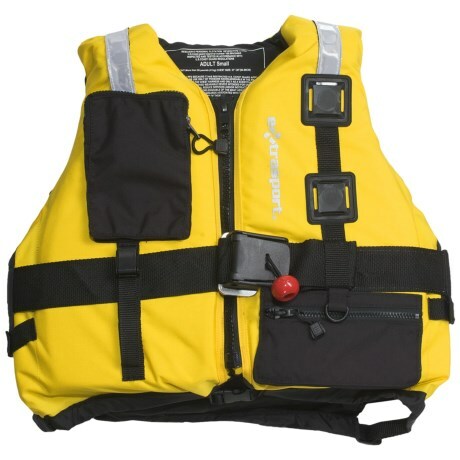 Personal Flotation Device minimizes discomfort while providing necessary safety.